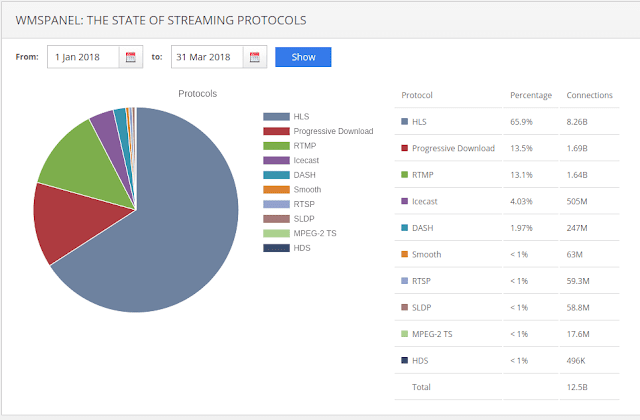 Softvelum team continues analyzing the state of streaming protocols. It's based on stats from WMSPanel reporting service which handles data from Wowza Streaming Engine and Nimble Streamer servers - there were 3600+ servers on average this quarter. WMSPanel collected data about more than 12 billion views. You can see significant increase of HLS to 65% share while other top competitors went lower. 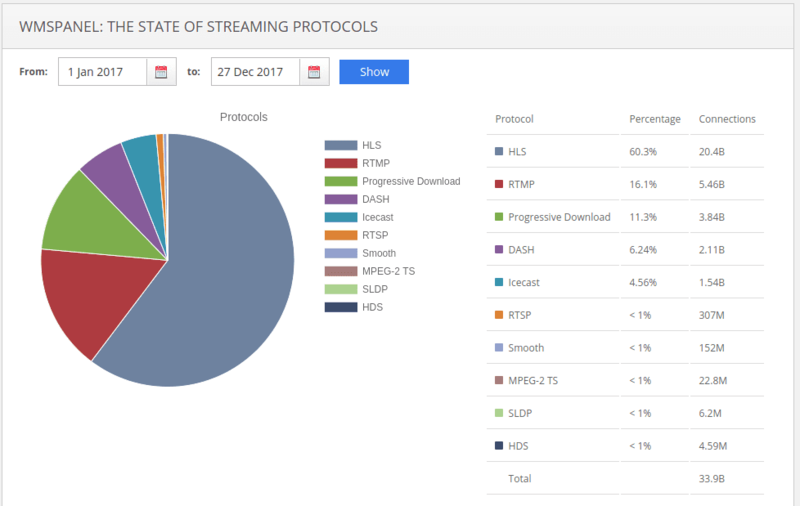 Another interesting fact is the increase of SLDP - Q1 had more views than the year of 2017 combined.